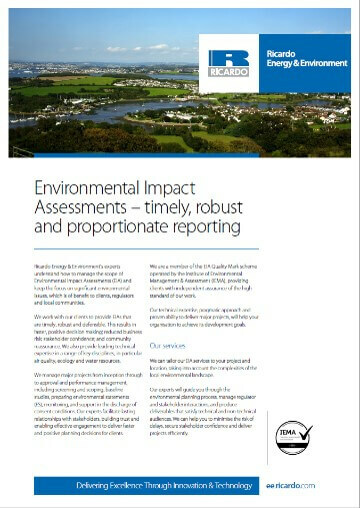 Ricardo’s experts understand how to manage the scope of Environmental Impact Assessments (EIA) and keep the focus on significant environmental issues, which is of benefit to clients, regulators and local communities. We will work with you to provide EIAs that are timely, robust and defensible. This results in faster, positive decision making; reduced business risk; stakeholder confidence; and community reassurance. We also provide leading technical expertise in a range of key disciplines, in particular air quality, ecology and water resources. We manage major projects from inception through to approval and performance management, including screening and scoping, baseline studies, preparing environmental statements (ES), monitoring, and support in the discharge of consent conditions. Our experts facilitate lasting relationships with stakeholders, building trust and enabling effective engagement to deliver faster and positive planning decisions for clients. We are a member of the EIA Quality Mark scheme operated by the Institute of Environmental Management & Assessment (IEMA), providing clients with independent assurance of the high standard of our work. Alternative options and needs assessments. Geographic information systems (GIS) and data visualisation. 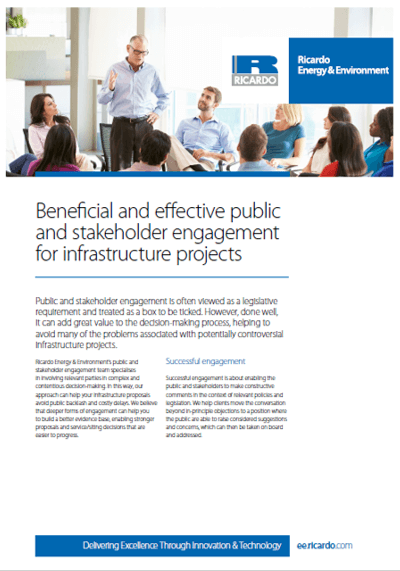 Stakeholder engagement and public consultation. Ongoing monitoring of project performance. EIA for a proposed college at a London site constrained by many sensitive receptors. We led early engagement with regulators and stakeholders to enable the EIA to be conducted at the outline design stage and be based on most-probable outcomes rather than worst-case scenarios, accelerating the planning stage of the project. discharges and help the operator to comply with regulatory standards. ES coordination for a section of the HS2 route, including an EcIA. 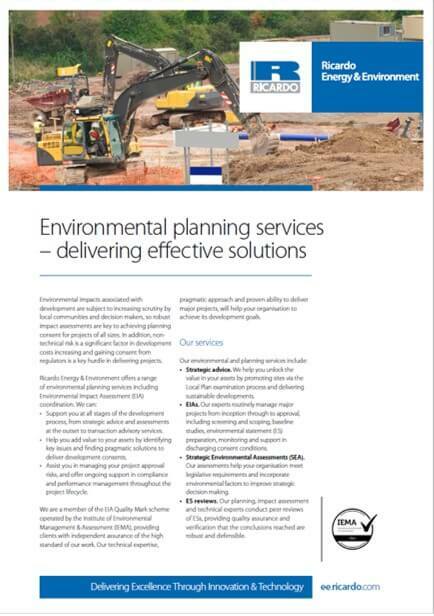 We liaised with a large team of environmental specialists and engineers, and delivered the assessments within short timescales to avoid delays to project delivery. 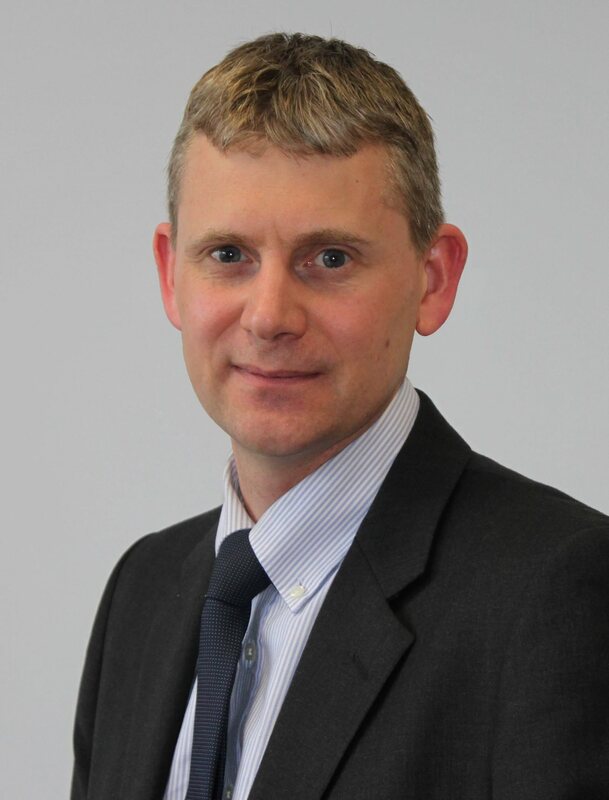 EIA for a coastal defence scheme to reduce the risk of coastal erosion and flooding. We prepared planning and consent applications and the ES, including an HRA. We also led a wide-ranging consultation process that resulted in the project receiving an award for public engagement.